A Jewelry Crush: Happy March! Legend says that Neptune, the King of the Sea, gave aquamarine as gifts to the mermaids, and from then on, it has brought love to all who have owned it. 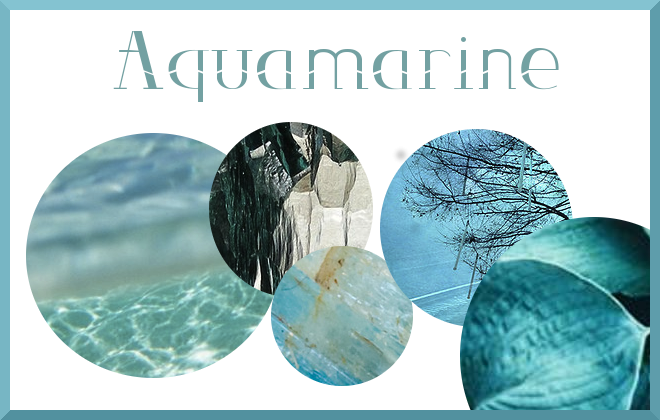 Aquamarines are found from various exotic countries in a range of blue shades, from the palest pastel to greenish-blue to a deep blue. It has been a symbol of youth, hope, health and courage. Here is our Marea Necklace in Aquamarine. 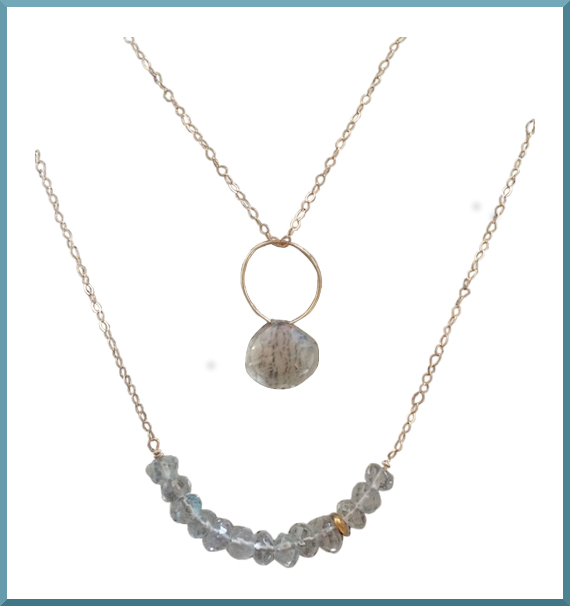 Worn separately or together, each necklace is a perfect layering piece for the warmer days ahead.